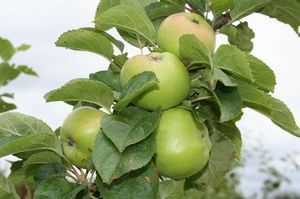 Farmer's Glory - Apple Tree £12.75 - Dual Purpose Apples Apple Trees and Fruit Trees For Sale. Buy at competitive prices with wholesale discounts. Farmer's Glory is a vigorous Devonshire apple tree variety, that can be eaten or cooked. It has a sharp quality that becomes sweeter as it ripens.